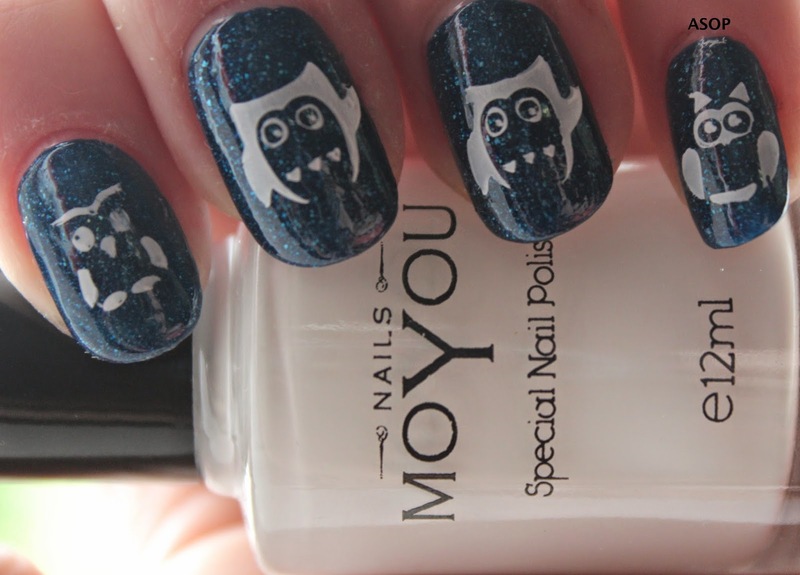 Please excuse the state of my hands right now! 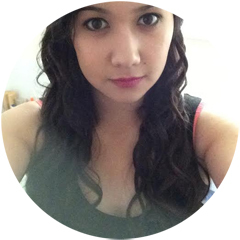 I'm going to sort them out this weekend, when uni is finally over! 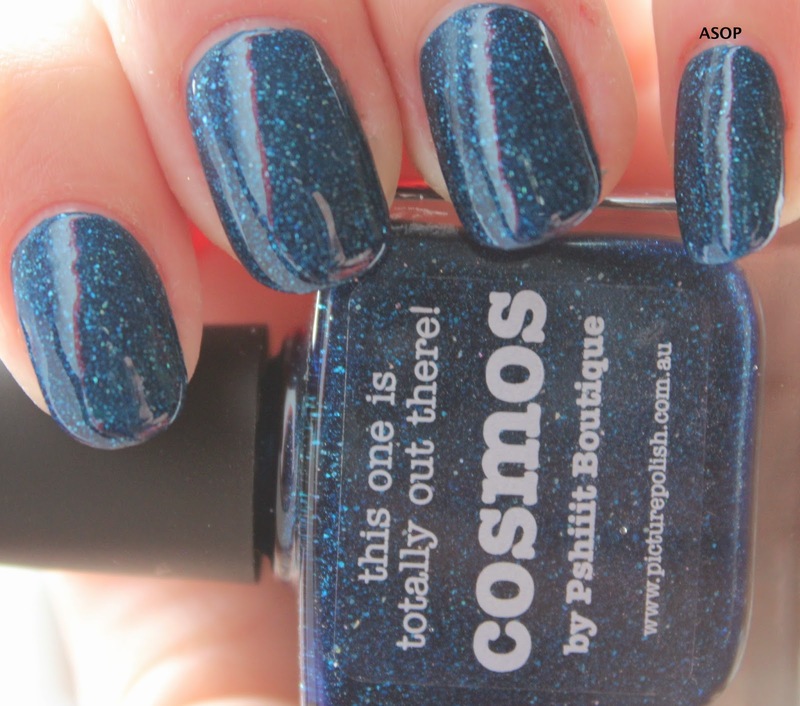 Firstly, I applied two coats of piCture pOlish's 'Cosmos' which I managed to snag in Sally Magpies 50% off sale last week :D. It's absolutely gorgeous! 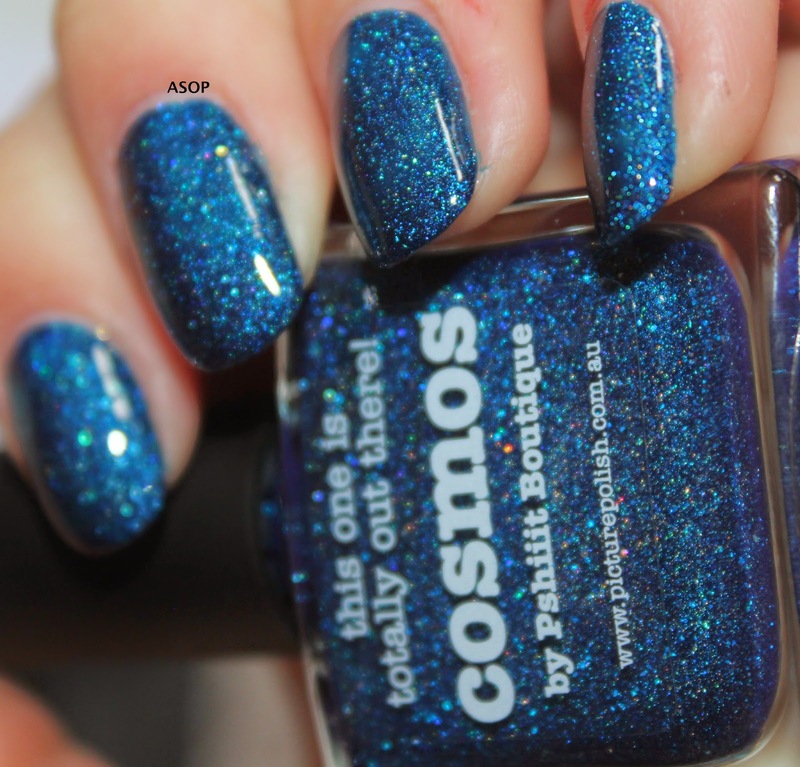 It's a lovely dark navy colour with scattered holographic glitter; multi blue and green holographic glitter! 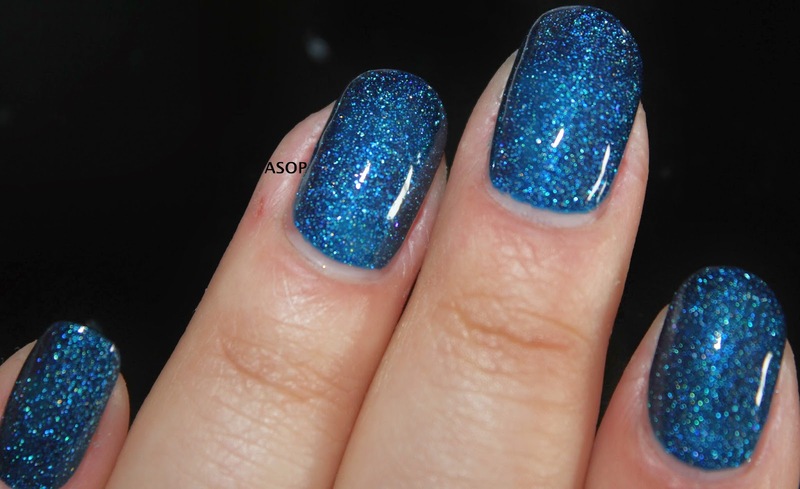 It applied really nicely and was fully opaque with the two coats. 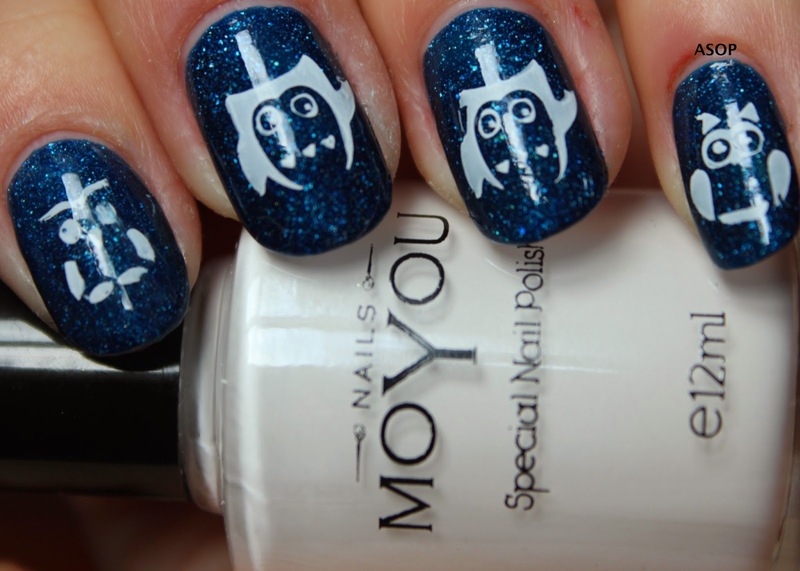 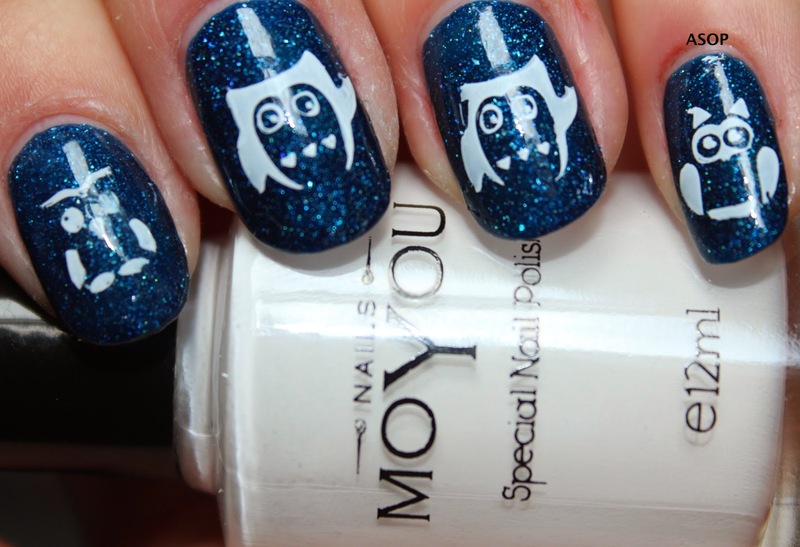 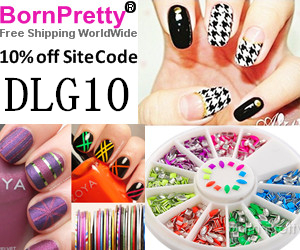 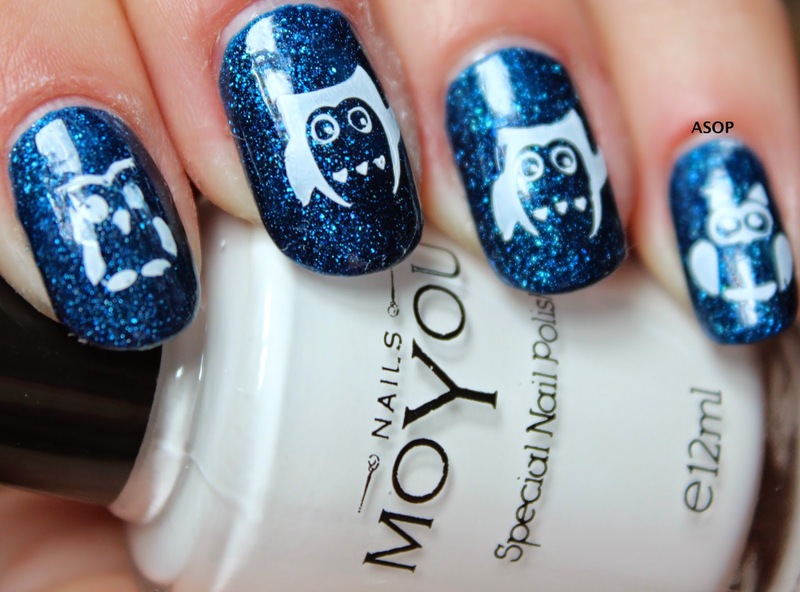 I then used my MoYou Nails special white polish and image plate 101 to transfer the owl images to my nails. 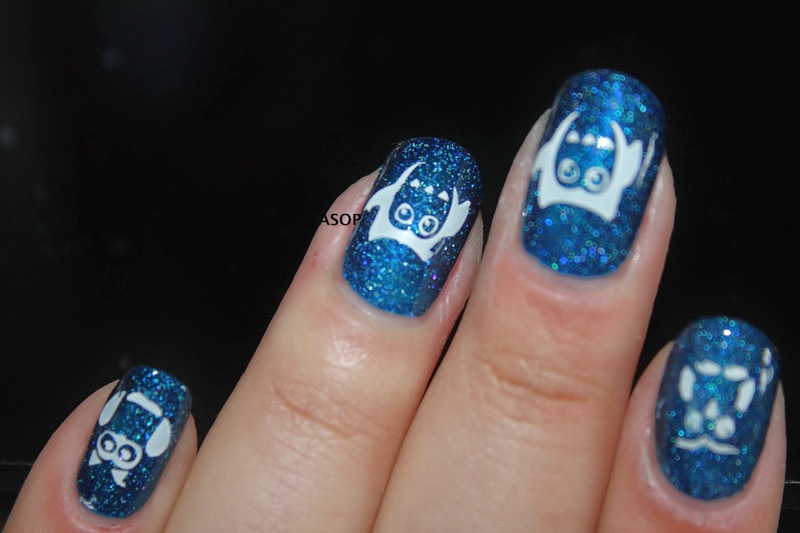 I had a tiny problem getting the owls ears to consistently transfer, but that was my fault cause I was rushing (I needed weelief, tmi!). 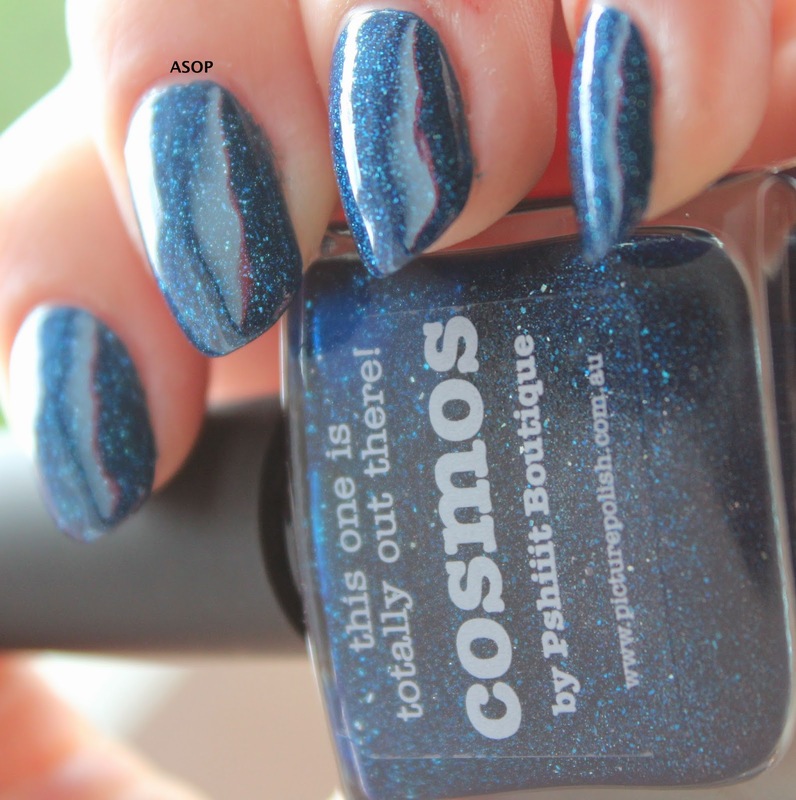 Personally, I think the image is really cute stamped over cosmos cause it's like a starry night sky in the background! 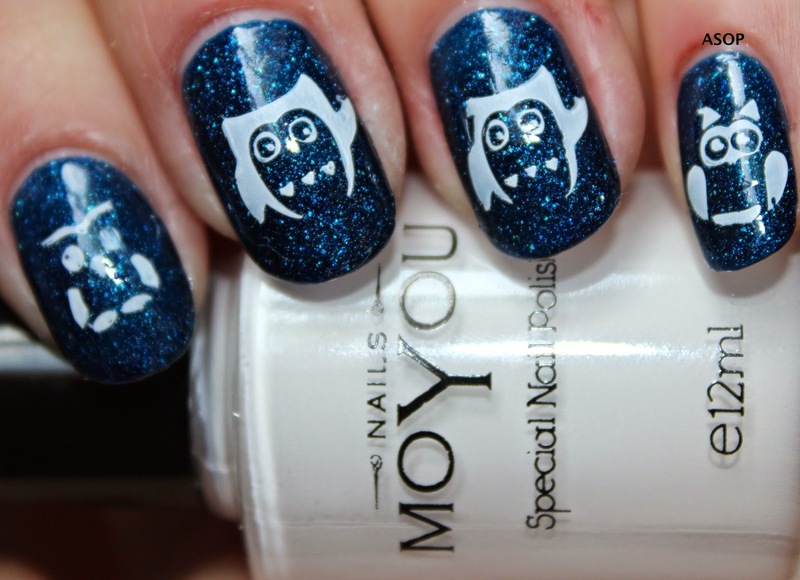 I applied top coat too quickly to my index finger and smudged the poor owls eye :/ - I hope he can still see! 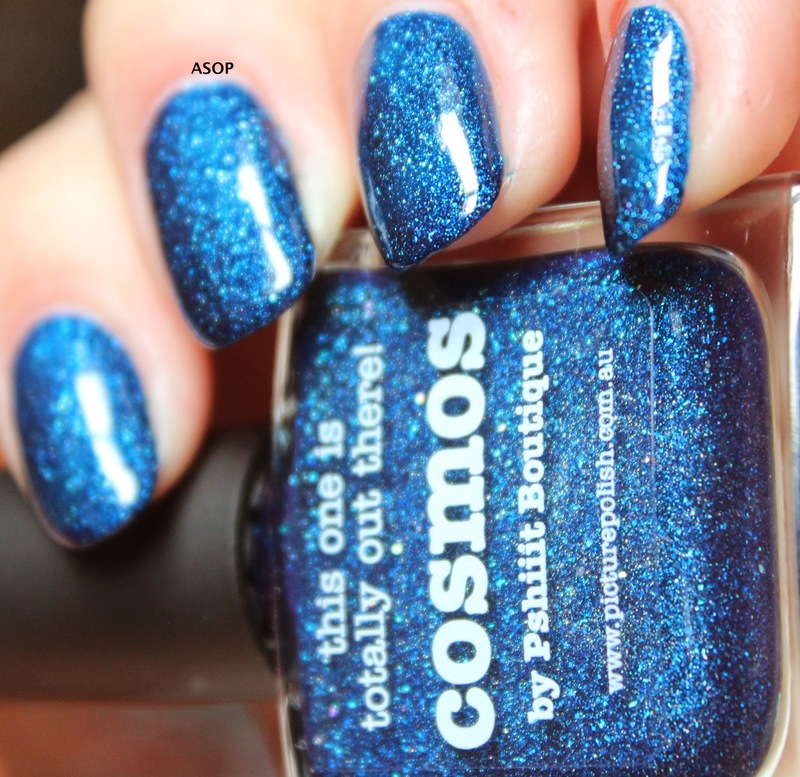 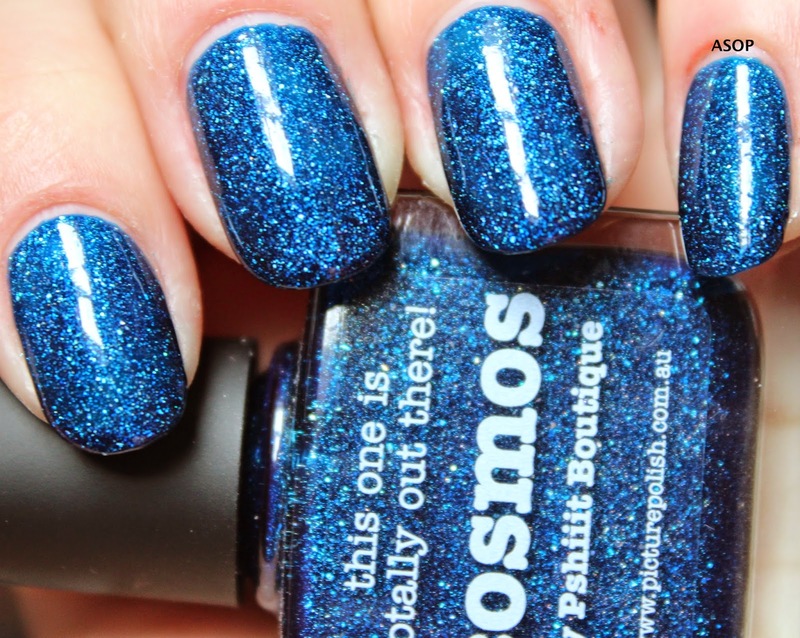 Wow I love the Cosmos polish, adding that to my list of wants! 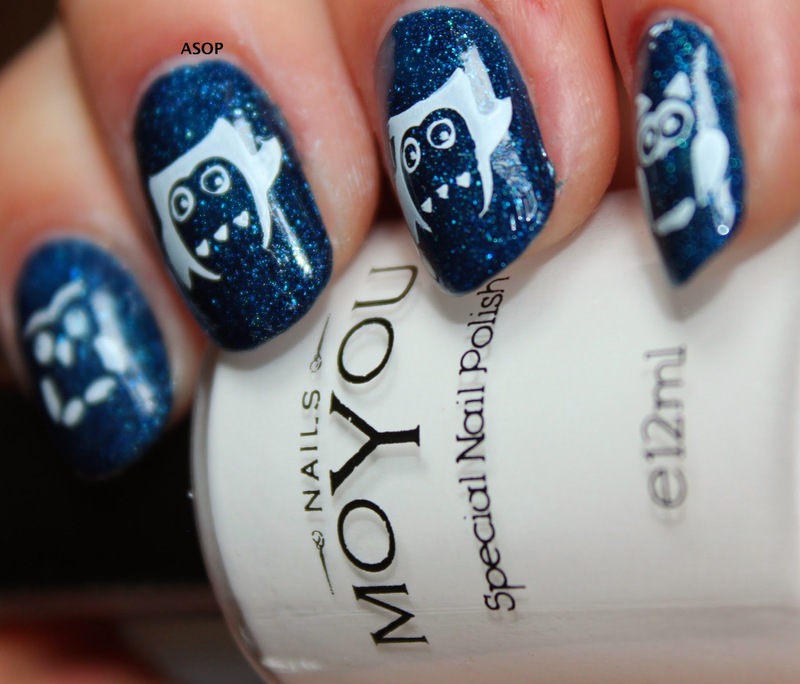 This is not helping my no buy haha, I love these stamps! 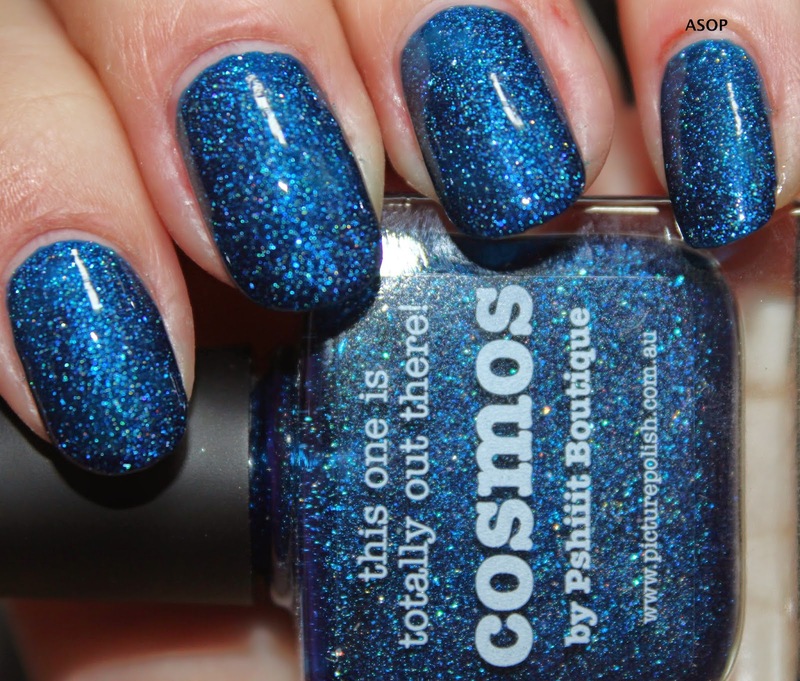 And the Cosmos is stunning. 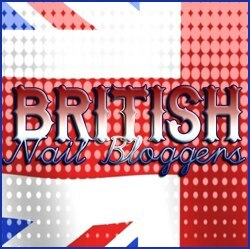 Oh dear...!